I.1 Reset your password. Forgotten your password? If you have installed the app and you are on your smartphone, use the in-app “forgotten password” menu. You will be sent a link to reset your password. If you are on a desktop, you can reset your password by going to https://www.twil.fr/customer/account/forgotpassword/. We are aware of a minor issue (currently being addressed): if you use the website on your phone and also have the app installed, the app can interrupt the password reset process. We therefore recommend that you reset your password from within the app if you have it installed on your phone. I.2 I cannot find my twils or my wine cellar on the website. Your account page on twil.fr shows the wines that you have scanned and that are available to buy. To see all of your label scans, you need to use the app on iPhone or Android. Try searching our catalogue – we have almost 18,000 wines available! I.3 Got a different problem? Contact technical support by emailing service-tech@twil.fr. If possible, please state whether you are using the iPhone app, the Android app or the website, and also your device (iPhone 6, Samsung Galaxy S8, Windows desktop, tablet, etc.). II.1 How can I use Twil? The Twil app is available for free for iPhone from the Apple Store and for Android from Google Play. If you don’t have an iPhone or Android device, no problem: the website at https://www.twil.fr is mobile-responsive and available on any device (mobile, tablet or desktop). II.2 How can I access my Twil wines on a different device? Just make sure that you have logged into the same account (email, password). Whatever your device (iPhone, tablet, desktop, etc. ), all of your Twil data will be synchronised. If you run into a problem, contact us at service-client@twil.fr. Please note that your account page on twil.fr only shows the wines that you have scanned and that are available to buy. To find all of the wines you love, you need to use the app on iPhone or Android. II.3 How can I change my notification preferences? II.4 How can I change my profile? In the iPhone app, tap “My account”, then the small settings icon on the top left of the screen. Tap “Personal data” to make changes. II.5 How can I delete my Twil account? Sure you want to leave us? Send an email to service-tech@twil.fr with the header “Delete my Twil account”. We will delete all of your data from our database. Please feel free to tell us why you’re leaving: we read all of our emails and are always keen to hear how we can improve. (If you simply want to stop receiving emails from us, click on the “Unsubscribe” link that appears in the footer of all our emails. If you can’t find it, send an email to contact@twil.fr with the header “Unsubscribe emails”.) II.6 Can I also order beers or spirits from Twil? Our service is mainly organised around the wine you love, but occasionally we do have special offers on spirits. III.1 How can I find out more about a wine I love? Simple! In the Twil app, tap the red “photo” icon on the menu bar at the bottom of the screen and scan the label on the wine bottle. This will take you to information about the wine, the winemaker, the region, and recommended food pairings. If the scan does not work first time, try again using the camera flash, and be careful not to move too much. If the app still doesn’t recognise the wine, you’re a Twil pioneer! You can add the wine you have discovered to our database (see next question). II.2 How can I upload information about new wine labels? Found a bottle that’s not on our database? Cool! Your label scan, and the date and time, will be saved to your “My wines” page in the app. You can also use geolocation to specify where you were when you had the wine in question. Fill in the form to give useful information such as the wine’s name, colour and vintage. 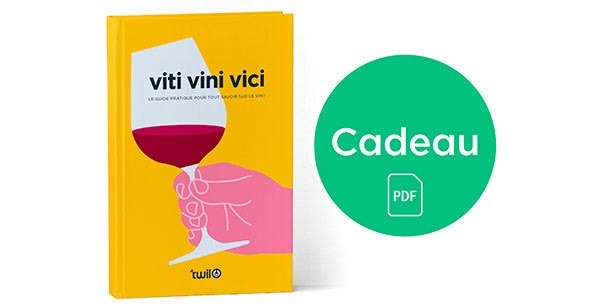 III.3 How can I use Twil to discover new wines? Click “Search” in the app and type the name of a producer, vintage, region or appellation. You have access to the full range of all our winemaker partners’ wines. The same applies to our website at twil.fr (the search box is always visible at the top of the page). You can also find our favourites, the wines with the best reviews and our latest recommendations on our home page. IV.1 How do I know whether my Twil order has been received? As soon as your order has been placed, you will receive a confirmation email from the winemaker. You can then view the confirmation: in the app – in the “My orders” section of your account; on the website – on the “My orders” page. If you have a problem, don’t hesitate to contact our customer services team. IV.2 I can’t find my Twil order in my account, what should I do? Contact customer services, quoting your email address. IV.3 Can I change my Twil order? No, once you have placed your order it is not possible to change it. IV.4 Can I cancel my Twil order? As long as the winemaker has not yet accepted your order, it is possible for us to cancel it. To do so, contact our customer services team as soon as possible, quoting your email address and order number. IV.5 What are all the different emails I am getting about the progress of my order? When you place your order, you receive a confirmation email within a few minutes. Then, when the order has been accepted by the winemaker, you receive an email within 48–72 hours confirming that your package is being prepared. Don’t be surprised to receive several such emails if you have ordered wines from different winemakers. Next you receive an email from the carrier telling you that your package is on its way. The tracking number will also be available in your account as soon as it is available. If you are in any doubt, don’t hesitate to contact our customer services team. IV.6 My order has arrived with a missing/faulty item, what should I do? Contact our customer services team, quoting your email address and order number. IV.7 My order has arrived with the wrong item, what should I do? V.1 How is the wine delivered? Twil has organised a quick, simple and easy system for delivery to your home address or a collection point, at very competitive rates. Our winemakers use the high-quality packaging we provide to ensure that your wine is transported in the best possible conditions! V.2 Do I have to receive the delivery in person? Your Twil package is delivered on presentation of valid ID and on the signature of the addressee or their designated representative. In case of the latter, the representative must present valid ID for both themselves and the addressee. V.3 How does click and collect work? When you place your order, you choose the collection point nearest to your home or work. You will receive an email informing you when your package has arrived at your collection point. You must collect your package within 7 calendar days of its arrival at the collection point (4 days if the package has been deposited in an automatic locker). If the package is not collected within the deadline, or if the customer refuses the package, it will be returned and retained temporarily at the processing centre. The carrier will alert the customer, and will offer to either return the parcel to the same collection point or transfer it to another collection point or another person of the customer’s choice, at the customer’s expense (indicative charge €15, charges may vary by destination). When collecting the parcel, the addressee or their representative must indicate on the collection point PDA if there is a problem with the order, and the nature of the problem if so. The addressee’s digital signature (and copies thereof) constitute proof of delivery, and the customer acknowledges that this digital signature has the same legal validity as a signature on paper. V.4 Can I arrange overseas delivery? Yes, see our Deliveries page. If your country is not listed, we can organise a special delivery. Contact us by email or phone. V.5 Can I track my package? Of course! The tracking link is available in “My orders”. V.6 Can I change delivery address after placing my order? You can change delivery address up until the point when the winemaker confirms your order. Make sure you check your address before you place the order, so as to avoid errors. V.7 My package has not arrived, what should I do? Normal delivery times are 2–9 working days, depending on your chosen delivery method and the speed of despatch from the winegrower. Expected delivery times are specified in your cart. Your package should arrive quickly! If the expected delivery time has expired, contact us, and we will check the status of your package and arrange another despatch if necessary. V.8 The carrier has been and gone but I did not receive my package, what should I do? V.9 The number of packages documented by the carrier does not correspond to the number of packages actually delivered, what should I do? Indicate on the carrier’s delivery note that there is a package missing. Then contact our customer services team, quoting your email address and order number. V.10 I forgot to collect my order and it has been returned, what should I do? Contact our customer services team, quoting your email address and order number. We will resend your package as soon as possible for a supplementary fee of €15. V.11 How can I make a complaint if I receive a dirty or damaged package? We recommend that you carefully check the contents of your package on receipt. The carrier should wait for a few moments while you open the package, and we advise you to do so. According to article 133 of the French Commercial Code, complaints must be made at the point of delivery, and the complaint must be explicit. The following complaints are not valid for refunds from the carrier: Damaged package (with no further details); Subject to unpacking; Wet packaging; Sounds of breakage. We therefore advise you to make clear complaints on the carrier’s delivery note, giving precise quantities. For example: 1 out of 6 bottles is broken; 1 bottle out of 6 is missing. A complaint made in the correct form is sure to be successful. V.12 The wine I received is spoiled or bad, what should I do? If your product has unfortunately been spoiled or damaged in transit, we will refund you or replace it for free. We might ask you to keep the damaged item and/or to send us some photos of it while we seek damages and interest from the carrier. Contact us before disposing of any damaged Twil product, and keep your delivery note and purchase invoice. In order for your complaint to be valid, it must be specifically addressed to our delivery partner’s “Customer Services”, and must be made within fourteen (14) days of the delivery. The wine is corked: we are sorry, but the fact that the wine is corked is not under our control. However, if you encounter this problem, keep the rest of the bottle and contact us at service-client@twil.fr, quoting your order number. V.13 How can I get my invoice? With Twil you buy straight from the producer, so it’s the producer who sends you the invoice, either with your package or on request. The invoices are usually available to download from your account, or you can request them through your account page if they do not appear. Please also note that if your order involves several winemakers, you will receive an invoice for each one. Since all of our winegrowers are professionals, the invoice will show the total before tax and the VAT rate applicable to the winegrower. VI.1 How can I find and follow my friends on Twil? You can find your friends by going to the “Newsfeed” and then “My friends”. Then you can add them by name or email address. You can also log into Facebook to find friends who have connected through Facebook. VI.2 How can I see how many scans I have done? You can view the twils you have done on the “My account” tab. VI.3 I want to send someone a gift, how do I do that? Simply enter a delivery address that is different from the invoicing address. Then send us an email with the order number and your friend’s name and address. We will send the lucky recipient an email on the delivery date, telling them who the gift is from and where they can collect it! VI.4 How can I keep my Twil activities private? Go to the “Plus” page in the app settings and select “Keep my profile private”. (Option currently unavailable, but in the meantime your name is not visible on the Twil Direct list.) You can change your name at any time in “My account”, “Settings” and “My data” if you wish to use a pseudonym. This name will not appear on your orders. I didn’t find the answer to my question, what should I do? Contact us direct by emailing service-client@twil.fr or calling +33 1 84 60 60 44.